Lots of web sites have Guest Books where you may leave your mark. We've taken it a step further by asking you to send us your favorite photo, image, or caricature. They can be of you, your family, your pets, or even some of the terrific places you've visited in your adventures. Use the email button found elsewhere on this page to drop us a line, and while you're at it attach a part of your life. Don't be shy! Photo by Cathie Tranent Love your site! 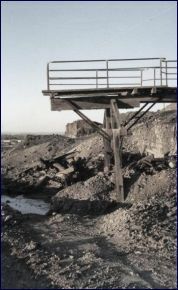 This was taken on an old mine site in Broken Hill, Australia ... on a "normal" camera. I then faded it out using Paint Shop Pro 6. I am in the process of buying an Olympus MJU300 and can't wait!! 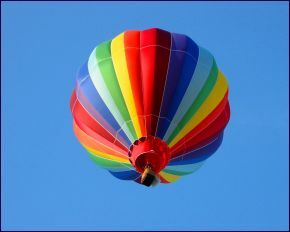 This shot was taken with a Canon A20 at a local balloon fest. I still get a kick watching the guy with his 35 and all the lenses. Been there, done that. No more! When is too many megs? Starting to shop for new 5-plus meg camera. Great site! 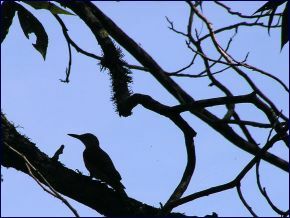 Photo by Trudi Hazlitt-Black Here is a photo I took while visiting an Indonesian forest. 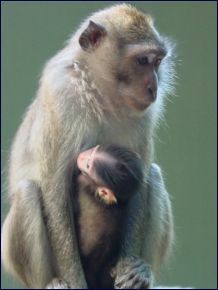 Thankfully the mother and baby were very co-operative. 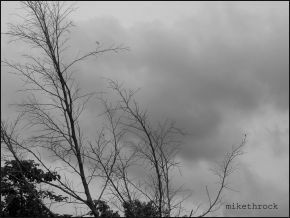 I took it on my Sony DSC-S85 Digital, which i really love. Hope you enjoy the photo. This is one of those spur of the moment shots. It's a woodpecker in a pecan tree in the Florida Panhandle near Blackwater Forest. The picture was made with an Olympus C740. Thanks for the great website. Photo by Michael Roquois Hello, I'm Mike from the Philippines. I have an Olympus D550Z. Too bad it doesnt have a manual focus. Well, anyway, here's a sample of my artwork. I've always loved taking pictures. I am Jithin S., a student doing my Masters in microelectronics at RMIT in Melbourne. 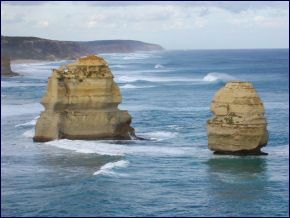 I had gone to Great Ocean Road and taken this snap ... I used Nikon Coolpix 775. Photo by Ginny Sellars This was one of the first pictures I ever took with my Kodak DX4330. It was January 2, 2003 so I tell everyone it was 1-2-3! 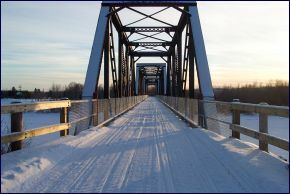 If you snowmobile in Aroostook County Maine, in the town of Washburn you will come upon this remodeled railroad tressel to carry you safely over the river. Enjoy! The Internet Brothers have implemented hierarchical menus for navigation. Easier done than said. The hierarchical menus were created using Peter Belesis' � Dynomat DHTML scripting tool from Webreference. Give them a visit, you'll like what you learn. Copyright � 1997-present Internet Brothers and the photographers. All Rights Reserved. Really.